Ducati‘s upcoming 1199 Panigale is the most exciting new sportbike in years. The outgoing 1198 was one of the most highly regarded sportbikes on the market, but the Panigale immediately demotes it to has-been status. 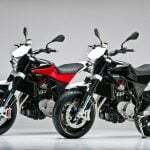 It’s especially noteworthy for its monocoque chassis design that eschews a traditional frame for a structure built only around its new Superquadro engine. 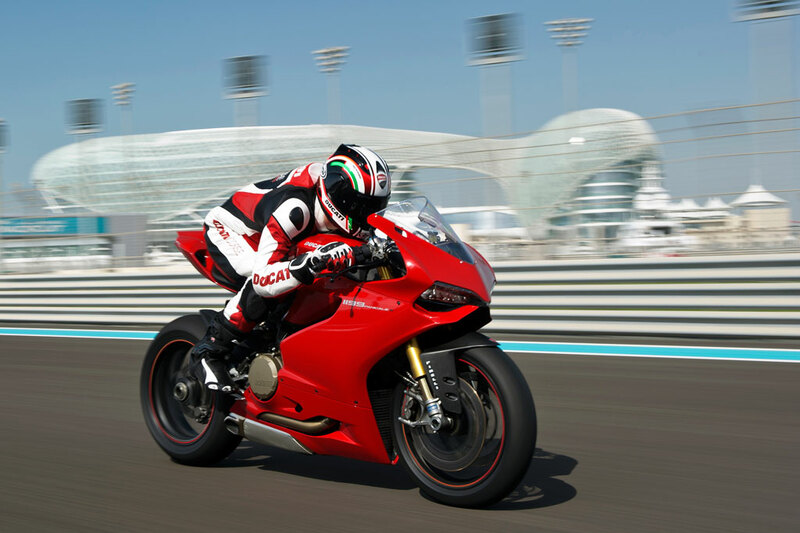 We’ll finally get to throw a leg over the Panigale tomorrow when we test it at the fantastic Yas Marina Circuit in Abu Dhabi. 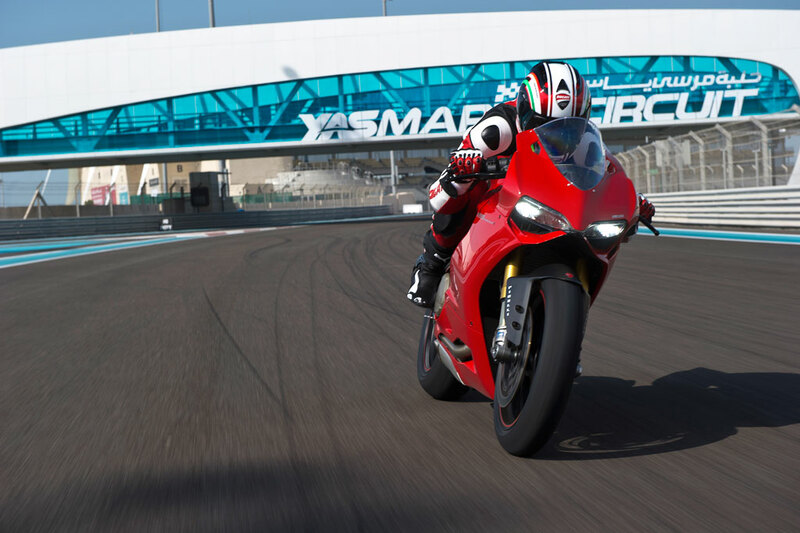 If ever a racetrack could provide equal billing with a game-changing sportbike, Yas Marina is it. It was built for Formula 1 car racing in 2009 at a cost of around $1.3 billion! Part of the 3.45-mile track runs under one of the most amazing hotels you’ll ever see, and the facility also includes the giant Ferrari World theme park and a harbor that sees some of the most luxurious yachts ever created. 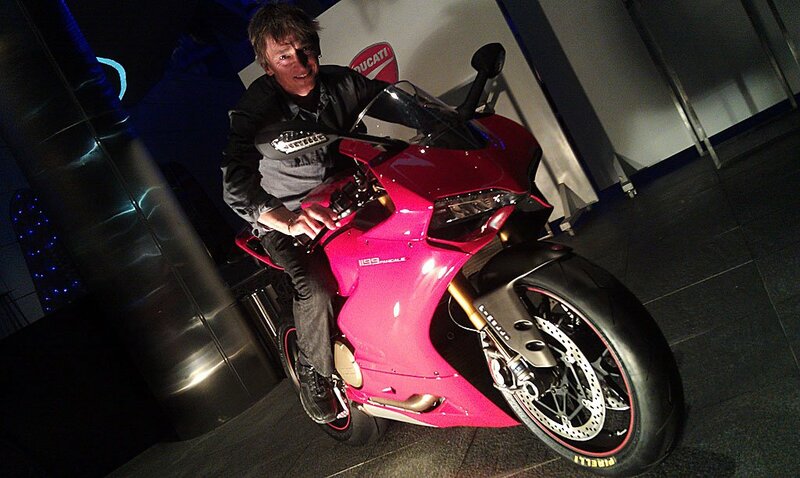 That’s a nice backdrop, but it’s a chance to ride the splendid Panigale that’s got us most anxious. 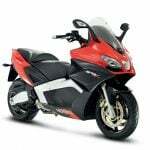 Noteworthy is the 1199’s all-new, ultra-short-stroke V-Twin engine that’s said to produce an incredible 195 horsepower at its crankshaft, a massive 25-hp boost over the 1198. 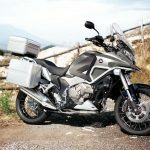 A 22-lb weight reduction and a more front-end-biased weight distribution will undoubtedly improve handling, and a 30mm shorter reach to the wider clip-ons will aid rider comfort and agility. We’re also curious how its new wet-clutch is an improvement from the crankier old dry clutch, plus it’ll be interesting to feel how the 1199’s new Electronic Brake Control (slightly opening the throttle valves when off the gas) works in conjunction with the slipper clutch. 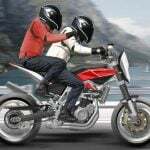 An updated version of Ducati’s Quick Shifter should offer near-seamless upshifts under full power. 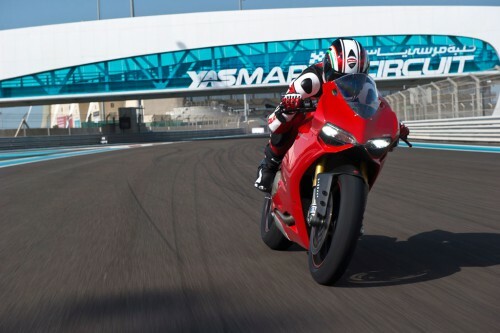 Ducati tells us we can expect to see speeds approaching 180 mph at the end of the track’s longest straight! Check back with us early next week to find out if our early impressions are as glowing as Bayliss leads us to believe they’ll be. In the meantime, make sure you check out the below links to learn more about this fascinating Italian machine. 2012 Ducati 1199 Panigale Launch This Week!